"Pin It" for later reading. Almost any mom of a two yr old child you talk to, the common consensus is; a switch flips at the age of 2 and kids seem to get very unpredictable, demanding and cranky at this age. Those sweet little babies turn into curious toddlers and the toddlers turn into little people with never exhausting demands; we’ll call them two yr olds instead of terrible twos. I really think it’s tough twos and not terrible twos. 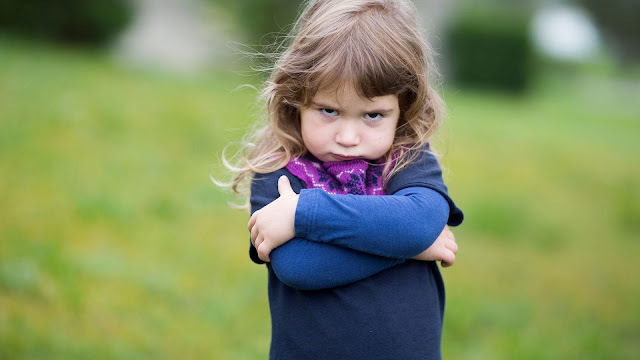 Tough twos, because your child’s brain is developing faster than the rest of their body, can catch up; so it’s tough for them to explain their thoughts and in frustration, they behave terribly, hence the phrase terrible twos came in. But I sincerely urge you not to use it; because YOUR CHILD IS LISTENING. And, it’s not good manners to call anyone a terrible person. At some time or the other we all wonder what happens with their brains at this age that calls for such a personality shift; more so we wonder if this will ever change? When will they behave normally again? Coz boy; is it exhausting! Here are 3 primary changes that happen in two yr olds which make them terrible twos according to some (most) moms. Two Yr Olds are always thinking out aloud about their feelings. When adults are unsure of something; they think about it in their mind. Unlike adults, kids think it through by crying it out or yelling it out or exclaiming it out. So when a toddler is told they need to leave someplace where they are having fun; the way they think about; “is it time already” is by getting more active and scrambling around. They express their emotions of “I’m really liking this; it’s very hard to go” by crying and rolling on the floor; compared to an adult who would think; “this was fun; we should do this more often”. Two yr olds have a developmental need to understand in detail how things are going around them, they’re learning by living, hence they are so slow in letting things go; because they’re not sure yet. They don’t realize that this fun activity could always be done at another time, for them, it is like letting this fun thing go forever. While the object permanence has sunk into two yr olds, they don’t know that we can do more often of what we like. The even more sad part is, their panic reaction kicks in the moment they realize they’ll have to drop what they are doing; and they’re not in a state to listen at all. On the other hand in the desperation of trying to make their kids feel better or understand the situation, we adults try to explain the current situation to them, while they’re clearly not listening.